Duck Pin Alley existed? Sam Lauyans fought the oilman at Jimmy Dell's Punch Bowl? Gude's operated a post office at Hoertz and Burnett? 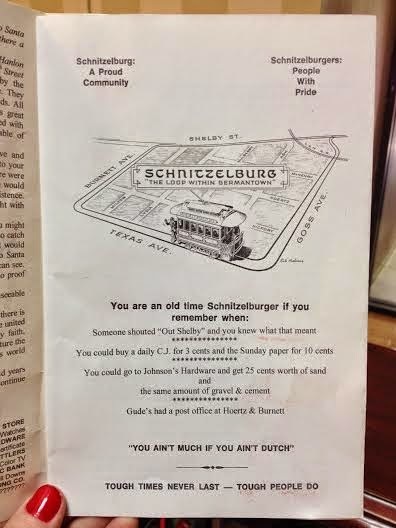 We recently stumbled upon some old #1 Citizen Dinner programs and were tickled to get a glimpse of Schnitzelburg history. 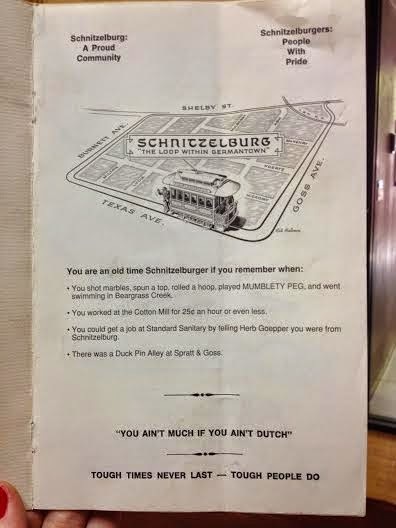 We particularly liked the "You are an old time Schnitzelburger if you remember when" blip. There may not be many "old timers" left, but if you remember any of these, please share your stories! Western Union delivered telegrams by bicycle. X'tras were sold after a championship prize fight. 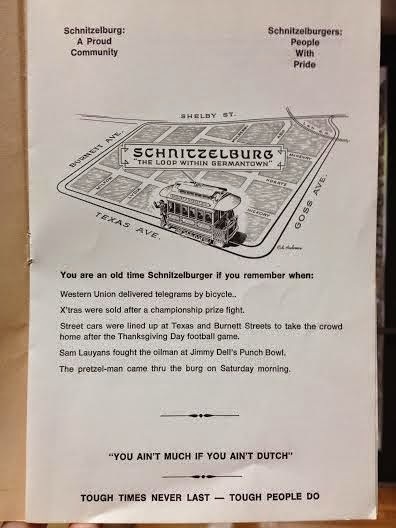 Street cars were lined up at Texas and Burnett Streets to take a crowd home after the Thanksgiving Day football game. Sam Lauyans fought the oilman at Jimmy Dell's Punch Bowl. The pretzel-man came through the 'burg on Saturday morning. You shot marbles, spun a top, rolled a hoop, played MUMBLETY PEG, and went swimming in Beargrass Creek. You worked at the Cotton Mill for 25 cents an hour or even less. 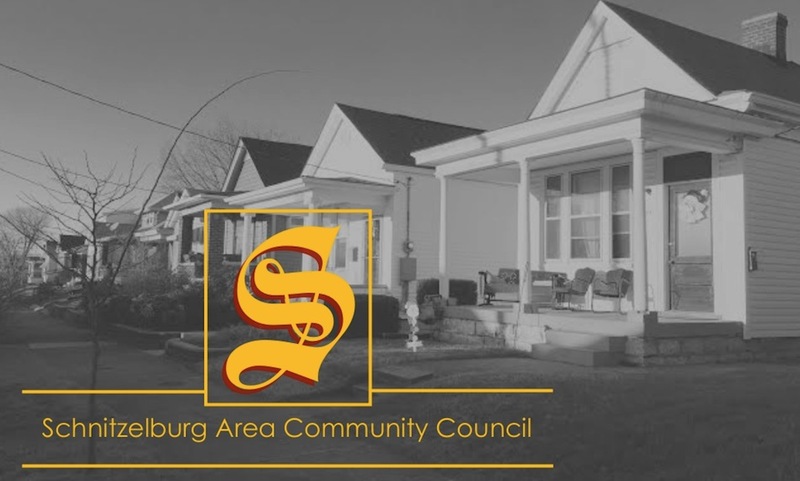 You could get a job at Standard Sanitary by telling Herb Goepper you were from Schnitzelburg. There was a Duck Pin Alley at Spratt & Goss. Someone shouted "Out Shelby" and you knew what that meant. You could buy the C.J. for 3 cents and the Sunday paper for 10 cents. 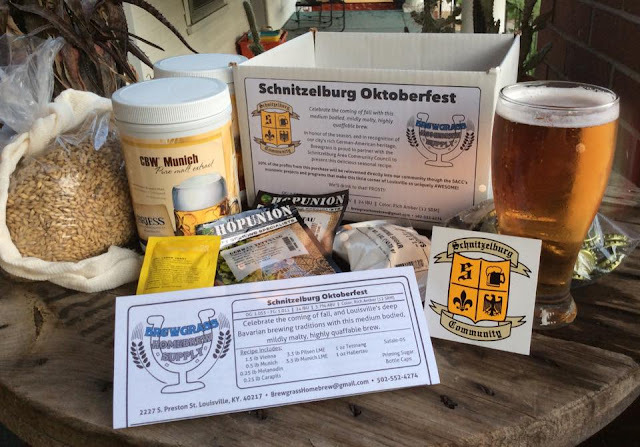 You could go to Johnson's Hardware and get 25 cents worth of sand and the same amount of gravel & cement. Gude's had a post office at Hoertz & Burnett. We can't help but wonder - what in the world is Mumblety Peg?? ?